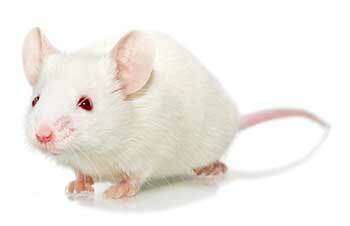 The Mdr1a mouse was developed in the laboratory of Alfred Schinkel of the Netherlands Cancer Institute. The model was created by targeting the Abcb1a gene in E14 ES cells. Resultant chimeras were backcrossed to FVB for seven (N7) generations. Taconic received stock in 1994 and derived the line by Caesarean transfer. The colony is maintained by incrossing homozygous mice. Schinkel AH, Smit JJM, van Tellingen O, Beijnen JH, Wagenaar E, van Deetmer L, Mol CAAM, van der Valk MA, Robanus-Maandag BC, te Tiele HPJ, Berns AJM, Borst P. (1994) Disruption of the Mouse mdr1a P-Glycoprotein Gene Leads to a Deficiency in the Blood Brain Barrier and to Increased Sensitivity to Drugs. Cell, 77:491-502. Title to these Models and biological materials derived from them remains with Taconic. The Models will be used for research purposes only. The Models will not be bred or cross-bred except to obtain embryos or fetuses required for research purposes unless additional rights have been granted in writing by Taconic. The Models and biological materials derived from them will not be distributed to third parties or used for commercial purposes. Non-profit purchasers may not use this Model and/or biological materials derived from it in sponsored research or contract research studies unless it is purchased at the for-profit price. P-glycoprotein-mediated transport of itraconazole across the blood-brain barrier. Intestinal P glycoprotein acts as a natural defense mechanism against Listeria monocytogenes.